Book-lover Delaney from Kansas answers a Help Wanted ad placed by a Scottish bookshop owner. 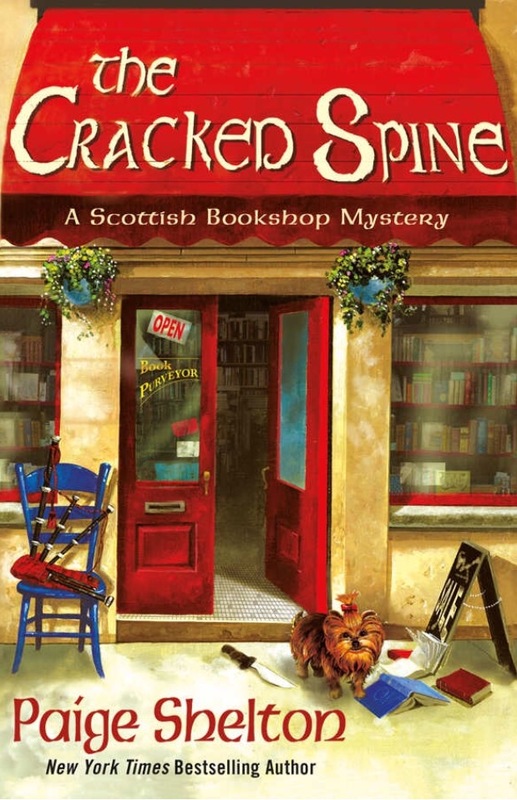 When she arrives in Edinburgh, she realizes she’s getting more than she bargained for: Treasures, ghosts, and new friends keeping closely held secrets. When Delaney finds herself in the middle of a murder mystery, she does some amateur investigating… and there her adventures get real. I loved the bookshop setting, the streets of Edinburgh, and especially Delaney’s Pub across the street with the good-looking, kilt-wearing, half-smiling, full-on charming pub owner. I could’ve done without the dialogue being written in Scottish dialect and the contrivances trying to convince me that Delaney really loved books. Both were off-putting, and I almost didn’t read past chapter one. I think the story would have flowed a little better – especially in the beginning – had the author not tried quite so hard to prove her points. Once I accepted the Scottish dialogue and allowed myself to skip over anything repetitive, I started to love Delaney and her new friends. She left her home for a new experience — and she really dove into it head first. Gotta love that courage. Take a trip with Delaney in Edinburgh. You’ll get into her head and help her solve a mystery. And keep an eye out for the handsome Scot across the street.